Deal Physical damage to target enemy, which can't be Evaded. 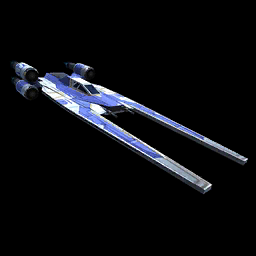 If Bistan's U-wing is Stealthed, this attack has +20% Critical Damage and ignores Defense. Target Lock: Inflict Tenacity Down for 2 turns. While Bistan's U-wing is active, whenever an ally scores a finishing blow, that ally gains 15% Turn Meter. If that ally is a Rebel, Bistan's U-wing also gains that much Turn Meter. Enter Battle: Bistan's U-wing gains Stealth for 3 turns and calls a random ally to Assist. Inflict Target Lock on target enemy for 2 turns, which can't be Evaded or Resisted. Bistan's U-wing gains Stealth for 2 turns, and 30% Turn Meter. If Bistan's U-wing is already Stealthed, gain Offense Up for 2 turns. Bistan's U-wing has +25% Speed. In addition, whenever an enemy becomes Target Locked, another random ally gains 35% Turn Meter and Advantage for 2 turns.